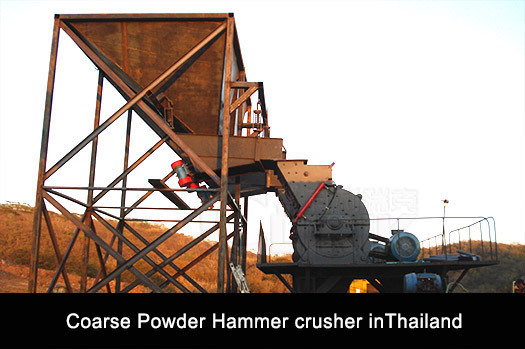 European version coarse hammer crusher mainly consists of frame, rotor, support iron and grate bars. The frame is divided into two parts: upper part and lower part, which are welded by steel plates after being cut. Liners made of high manganese steels within the frame can be replaced after being worn out. The rotors consist of turn plates, pin shafts, and hammers which are grouped regularly in the main shaft. The main unit drives the main shaft through the motor and triangle belts, which, in turn, rotates the rollers. 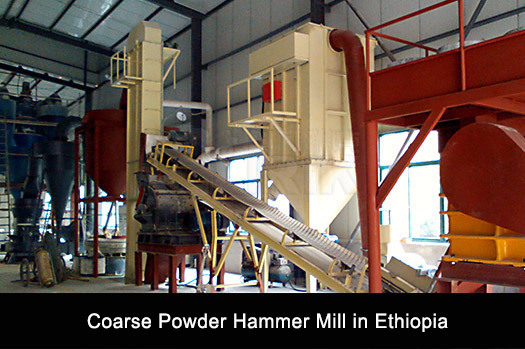 Large materials entering the crusher through the feed inlet are firstly crushed by the high-speed hammers, and then thrown fiercely to the support iron for further crushing. 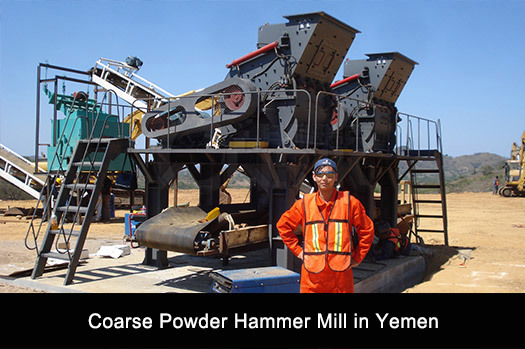 Qualified materials crushed will be screened out and exit from the gap of the grate bars while the unqualified will be left in the crushing cavity to be further hammered and ground until reach the standard size. The size of the final product can be adjusted by changing the grate bars. The gap between the rotors and the grate bars can also be adjusted according to different requirement. 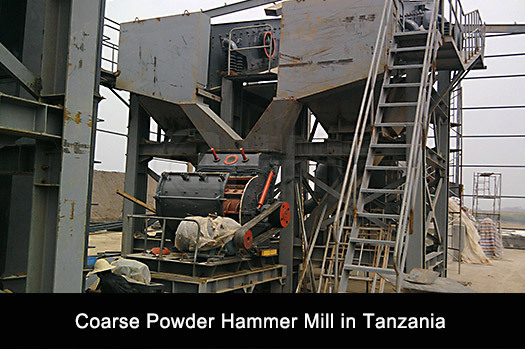 To avoid the plugging of the crusher, th proportion of water for the crushing materials is no more than 20%.